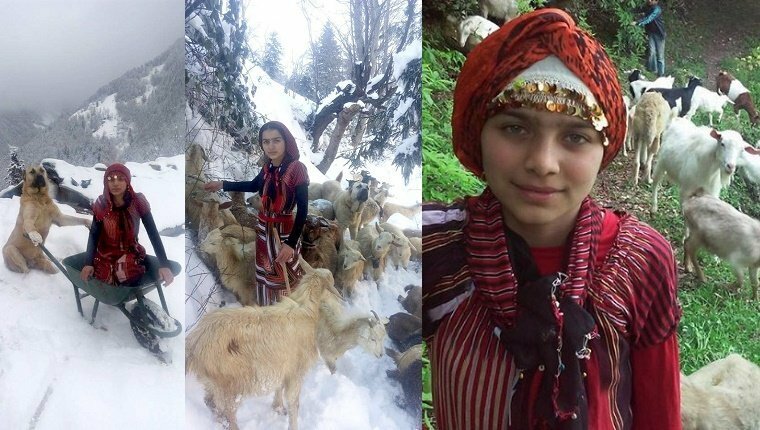 An 11-year-old girl named Hamdü Sena Bilgin herds goats from her father’s farm in the mountains near her small village in Turkey. 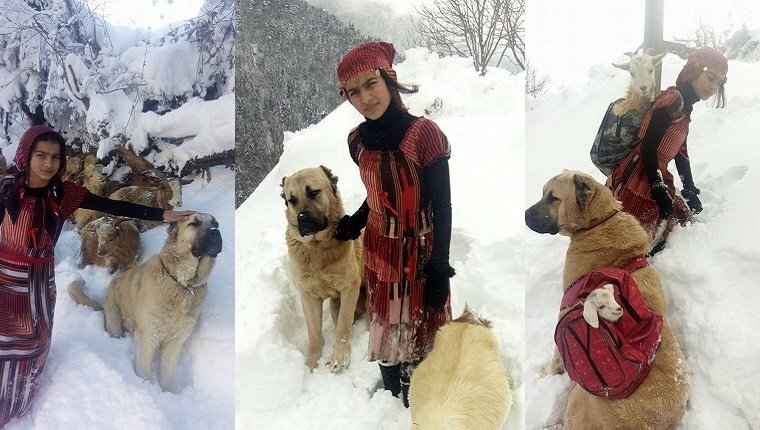 She and her dog Tomi stick together to keep their herd safe, and they definitely did their job when a pregnant mama goat unexpectedly gave birth on a snowy hillside. Hamdü Sena was afraid that the goat mama and her newborn kid wouldn’t be able to get back to the farm on their own. So she led the rest of the herd home, grabbed two backpacks normally used to carry school supplies, and went back with Tomi to get the mama and baby goat to safety. 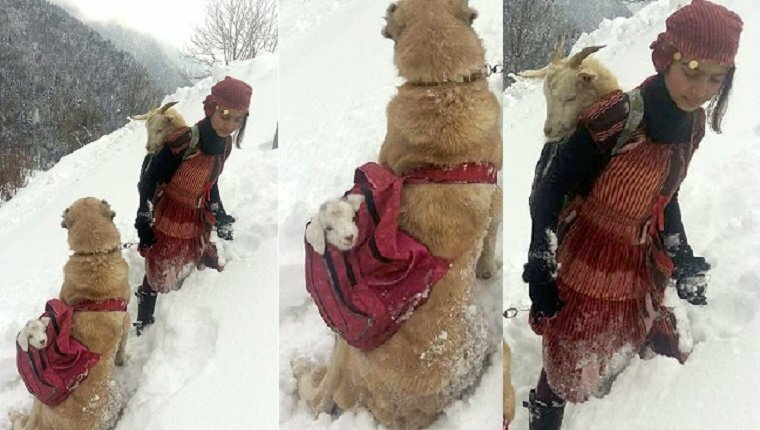 The girl loaded the mama goat into one backpack and carried her, then put the baby goat in the other backpack and strapped it to Tomi’s back. She knew Tomi would take good care of his precious cargo. They trudged through the snow together back home. Hamdü Sena’s brother joined them near the end of their journey and took pictures, which went viral on social media. They made it back to the farm safe and sound. Are you amazed by Hamdü Sena’s determination? Are you glad Tomi was along to help out? Let us know in the comments below!